The competition was to a very high standard. Another year of excellent entries. 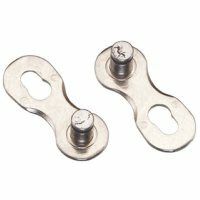 Chain links allow you to join a chain and - in some cases - break a chain without tools. Routinely breaking and making chains for cleaning - arguably the most thorough cleaning methods require you to remove your chain from your bike. Repairing a broken chain - particularly while out on a ride. 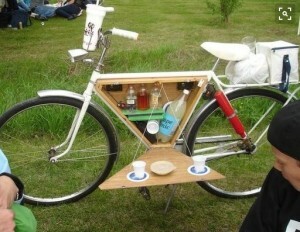 Note that this will usually require a chain breaking tool as well. If I buy a new chain that comes with joining pins, I always use a chain link instead. 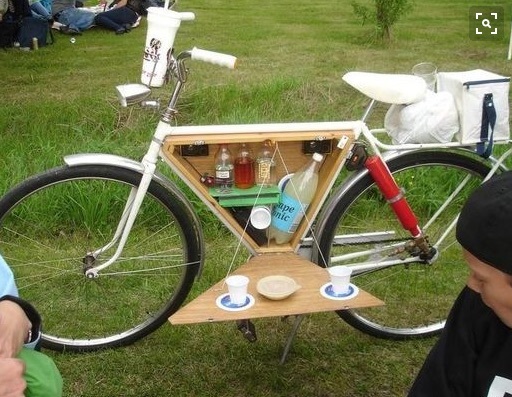 I also carry several chain links with me on a ride - just in case. The following sections describe several aspects of chain links. Click any section heading to show or hide it. 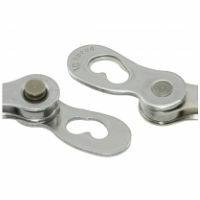 Reusable chain links - these are designed to be used to join and break chains multiple times. Use-once chain links - having used one to make a chain, you are expected to discard it if you use it to break the chain again. I've read scepticism about the need to replace (which might be justified) but reusable links come with a price premium - if all links were reusable there'd be no point in producing use-once versions. The issue seems to be that the retaining edge can be damaged when removing a use-once link meaning the link can come apart while on the road. 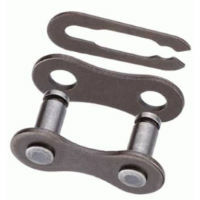 Wipperman Connex chain links - are reusable chain links. They deserve their own category because they have been specially designed to make and break easily. 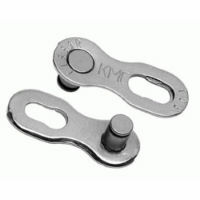 They cost more than other types of link (unless bought with a Wipperman chain) but breaking a Connex chain link is genuinely easy to do without tools - you simply make a 'Z' shape with the chain link and slide the two halves apart. You'll see that chain links are sold in 'speeds', for example: 10-speed or 11-speed. That refers to the number of cogs on your rear derailleur. The more the cogs, the smaller the spacing between them and the thinner the chain - therefore, the thinner the chain link. In the final section 'Other types of chain link' I describe a 'Master link' which is sometimes described as "Universal". That was true some while back, but I wouldn't attempt to use one with modern 10- or 11-speed chains. Package description - as long as you're buying a reputable product (Shimano, SRAM, Wipperman, KMC or similar) from a reputable supplier, the package description should be definitive. If it says "reusable", it is. If it is silent about reusability, it isn't. Chain size - if you have an 11-speed chain link, the chances are it isn't reusable (the major manufacturers seem to have decided that it isn't practical to produce reusable 11-speed chain links). Product name - we're now getting into murkier waters because names can be used interchangeably. As a general rule "lock" in the name implies a use-once link. If it's a Wipperman Connex link - it's definitely re-usable. Price - use-once links cost around £3 per link (two halves); reusable links come at a premium starting at around £6. Obviously it's still possible to encounter over-priced use-once links! Supplier's description - this should be accurate. Better, though, if you can confirm via the manufacturer's web site. Check the packaging when the link arrives. Purchaser comments - are, in my opinion, useless. You'll often see people saying links are reusable when they mean "I reused it and got away with it". That's not the same thing at all. Replacing an old chain with a new one and a chain link is pretty easy - provided you have a chain-breaking tool. My multi-tool has one and I've always got it on a ride - although I've only ever used it at home - so far! This video describes the process of cutting the new chain to length and fitting it with a chain link. The process is the same for most types of link. The fitting process is slightly different for a Connex link. This video shows how it's done (and how easy it is to break a chain that uses a Connex link). In the previous section I included a video that shows how to break a chain that uses a Connex link. For other types of link the process can be as easy as pushing the two halves of the link inwards (towards each other) while sliding the two halves apart. In practice, I have found some links to be this easy, but others either very difficult or impossible to do this way. It's perhaps at this point you appreciate the difference between a use-once link and a truly reusable one! The next section explains how to break a difficult link. Here’s a quick and easy, tools-free way of opening a chain link from CTC member and Chartered Mechanical Engineer Ian Sheppard. "Have the chain on your largest chainwheel, with the quick-link to the front of it. Hold the crank and pull the lower length of chain forward one tooth on the chainwheel. Move the one tooth’s worth of slack up and around the teeth, so that the quick-link and one other link form a sticking-out 'V'. Tap the point of the V sharply with a something hard and heavy (a hammer is ideal but a rock will do) and the quick-link will slide open – just like that!" I tried this method on several chains. Some links needed a little pinch first (or a sharper tap) and it helps to aim at the side of the link without a slot at that end, but if you do that it always works a treat! Ian assures us that there is no danger of damage to the teeth, because the chain is forced into their roots where they are strongest. Fortunately, it's a lot easier to do than explain. I couldn't find a video to show the method - please let me know if you find one. This video shows an alternate method using a bit of brake cable. I suspect one or two pairs of pliers might help the process. I would also simply take the chain off the front rings to relieve tension on the chain rather than using a broken spoke as shown. Arguably the simplest - but most expensive - method is to use a tool designed to separate chain links like this one. But where's the fun in that! It was the only one I knew in the fifties. Single speed or hub gears so it didn't need to be sloppy in the joint, and the spring plate was no problem being used again and again. I always slid the closed end over one pin, hooked one arm on to the other pin and used a screwdriver to lever the other arm over the head of the pin into the slot. Rules are that you have to have the closed end in the direction of movement - that prevents the open ends catching and possible springing out. It is too thick to work well on a derailleur as far as I know, but then I didn't have a derailleur in those days. The other method I know about is to use a connecting pin. Definitely not reusable (although in past times they might have been). 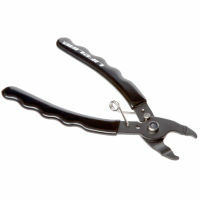 You also need a chain breaking tool to make and break a chain using a pin. 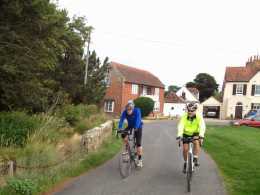 Photos are a great way to share and remember cycling experiences, and we use them heavily on the website, the club magazine, and at club evenings. While you can include the odd few photos in website articles, our website isn't really set up to store hundreds and hundreds, but don't despair. Sharing photos on the web is getting easier and easier and can even be free. In fact, we recommend uploading your precious photos and other files up to the web as a backup for when (not if) your phone or computer eventually dies! Once they're uploaded, you can very easily share a link to them in a post, or by email - e.g. for use in the magazine, or club meetings. Dropbox. Great one minute intro here. Brilliant if your main interest is occasionally sharing photos with others, and backing up your photos (and all your other files as well). It gives you a folder on your computer that automatically syncs to Dropbox's website, and to any other computers, phones or tablets you have. It's free for the first 2 GB, which is enough to store several hundred photos. Highly recommended - the original and still the best - everyone should have a Dropbox! Google Drive. Good intro here. Similar to and almost as good as Dropbox, but 15 GB free storage, and especially good if you already have a google account. Google also offers to back up all your photos automatically, totally for free if you don't mind slightly less than maximum resolution. Google Photos - very new and trendy, but not recommended yet unless you're very comfortable with smartphones and computers. Flickr.com. Good intro here. Great for organising and sharing your photos, and fairly simple to use. It's the world's most popular photo sharing website, owned by Yahoo, and offers up to 1TB for free - that's 1024 GB - it's HUGE. Once your your photos are uploaded, click the 'sharing' option to get a link (a web URL) to them. Usually, you'll be sharing more than one photo, so best to first group them into a folder or album and share that in one go. Simplest is to make them public, but it's pretty secure, as the link is usually so complex that no-one else could guess it, but if you're paranoid about security, and don't mind a bit of extra work, you can share them so they're only visible to specific named individuals. As an example, I just created an album on Flickr of my CTC ride to Wiggonholt - you can follow the link here. Do give photo sharing a try! Alternatively if you just want to send one or more photos to someone without filling their email inbox, there are several free services that allow you to send your photos via a web site. Your recipient gets an email to let them know your files are available together with a link allowing them to download them when they're ready. ... gets its revenue by displaying adverts as background images while you use the site, It seems to be benign. You can even upload files without providing your recipient's email address (they might not take too kindly to you giving their email address to a third party). You get a link you can email to your recipient privately. 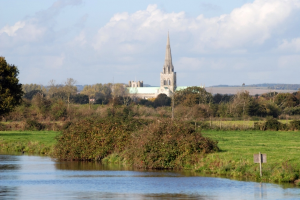 To use the free service go to the web site and click the '?' icon at the bottom right of the left-hand pane for more information. Cycling UK published a useful article in the April 2016 edition of The Cycle. You can read that article here.